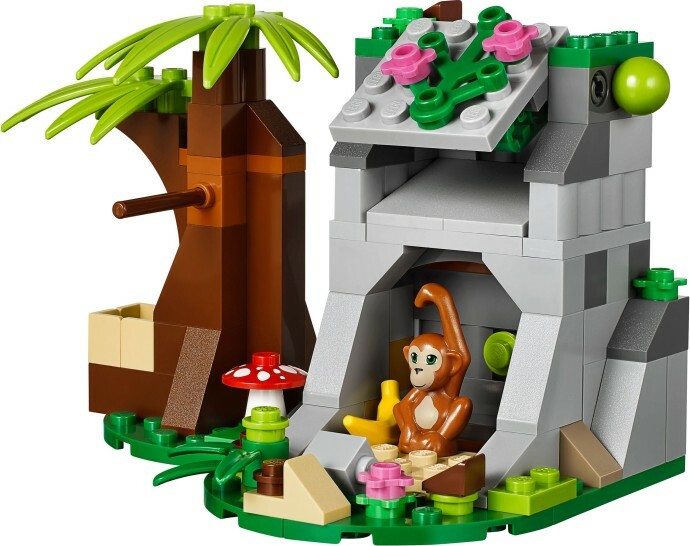 Help Emma to rescue the Orangutan trapped in the cave! 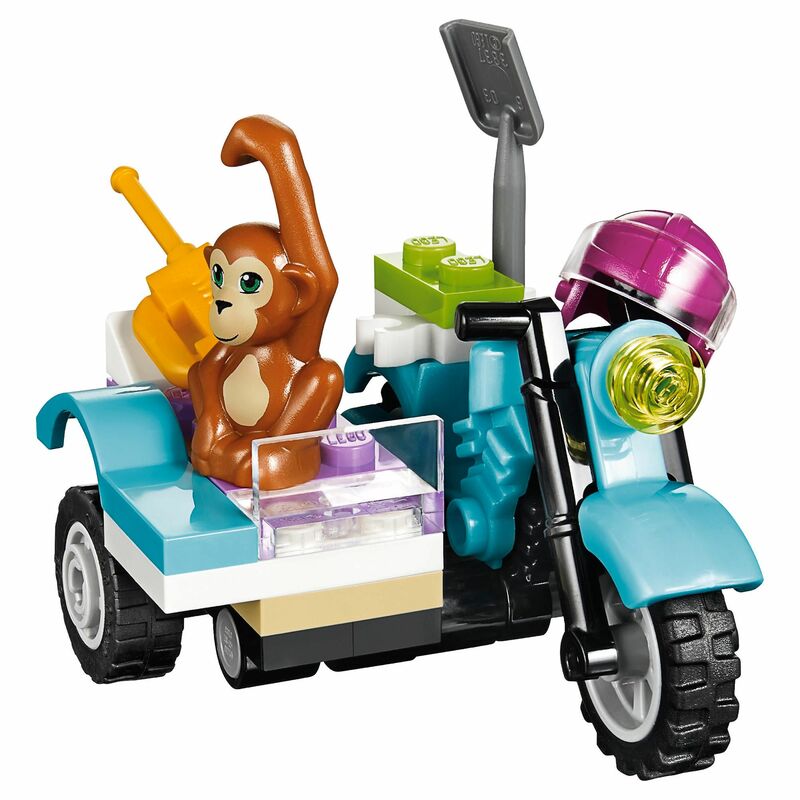 Hop on the First Aid Jungle Bike with detachable sidecar and race to the scene, before springing into action and clearing the fallen rocks. Use the shovel to shift them out of the way, and then use the medic bag to check the Orangutan’s health. 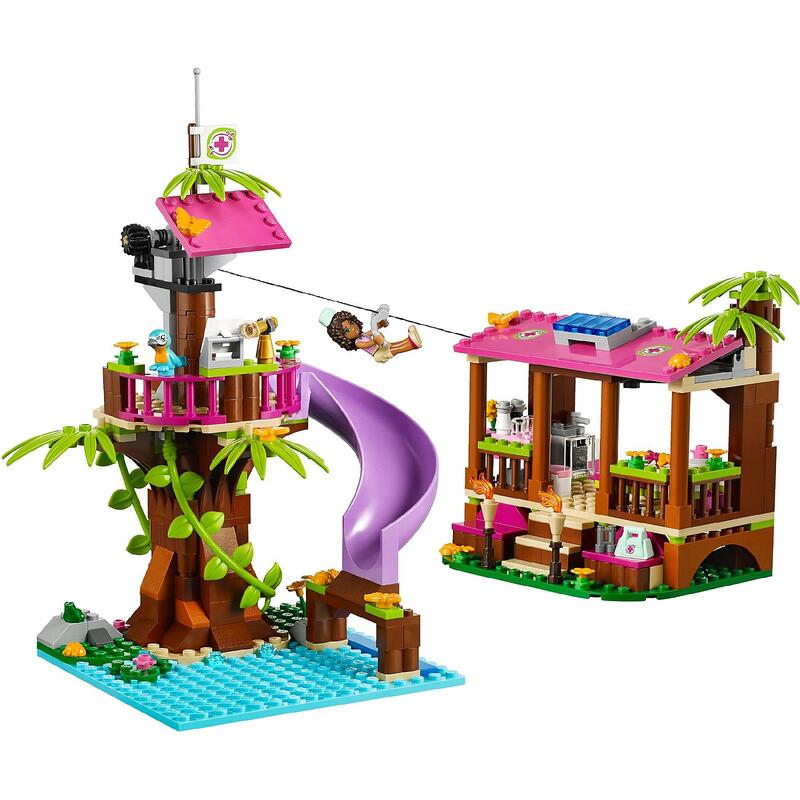 banana to eat, before using the walkie-talkie radio to warn others of the dangerous rockfall! The LEGO® Friends First Aid Jungle Bike 41032 set includes an Emma Mini-doll figure and an Orangutan. 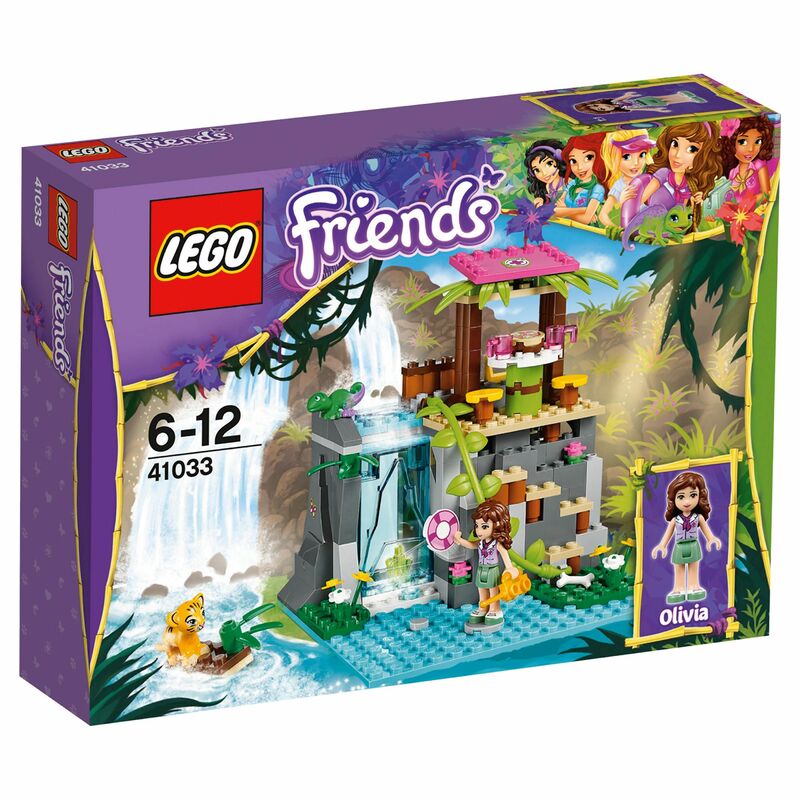 Build a dam to stop the waterfall & rescue the tiger! 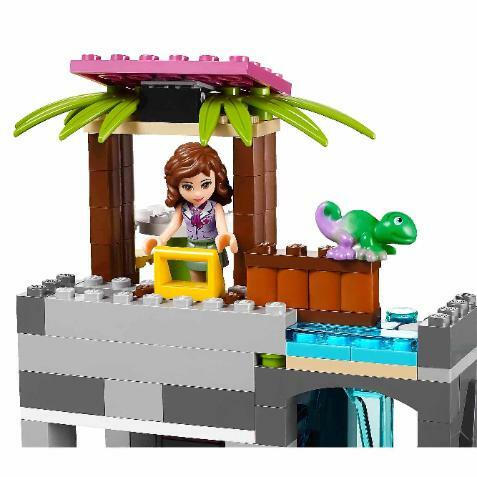 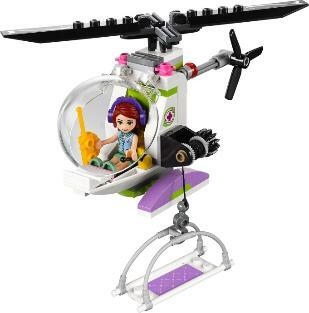 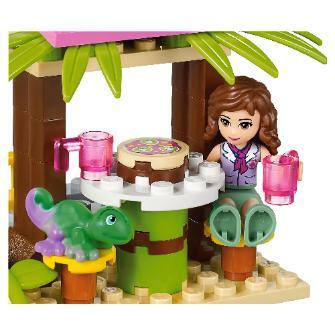 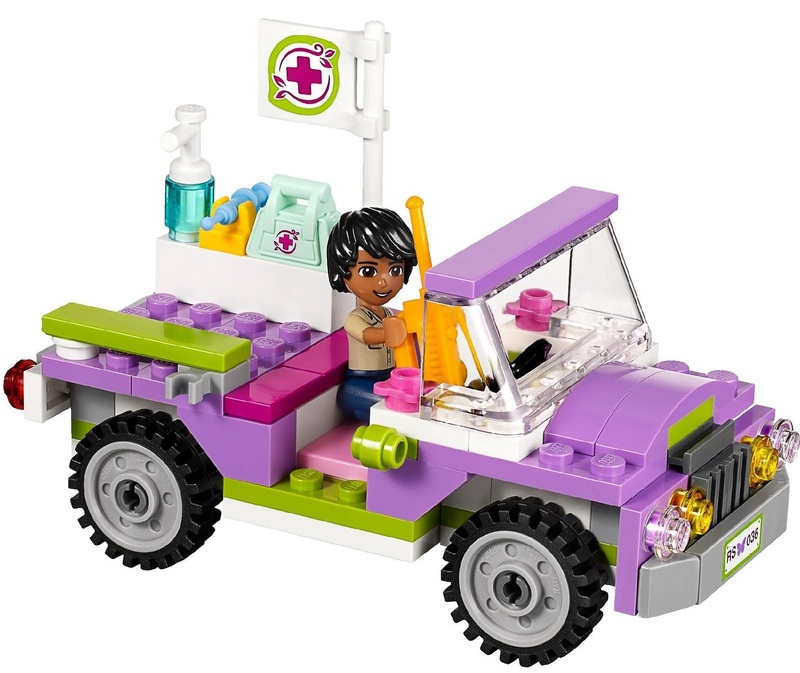 the Jungle Falls Rescue set from LEGO® Friends! 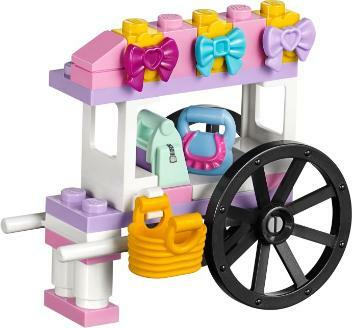 The LEGO® Friends Olivia’s Ice Cream Bike with Olivia mini-doll figure features a bike, ice cream stand, picnic table, fountain and mailbox. 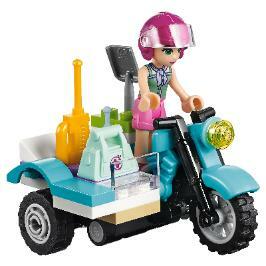 Prepare delicious ice cream treats and sell them on a sunny day with Olivia’s Ice Cream Bike. Take a ride to Heartlake City Park and help Olivia set up her ice cream stall right next to the pretty fountain. 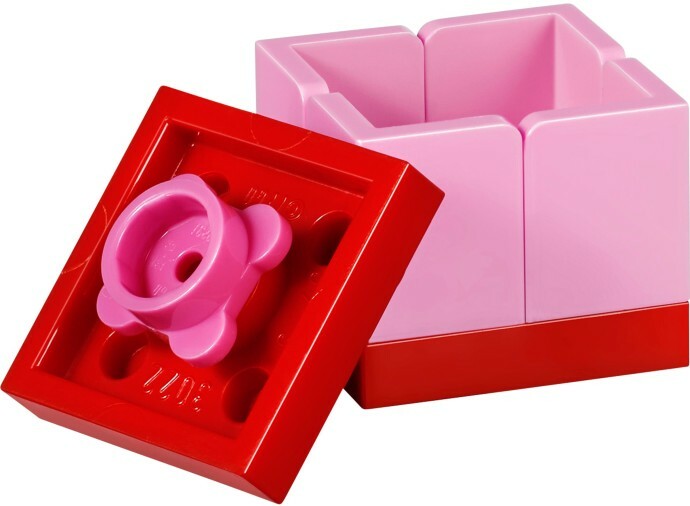 Make some chocolate and strawberry cones or take a refreshing ice pop from the freezer box to sell in the summer sunshine. 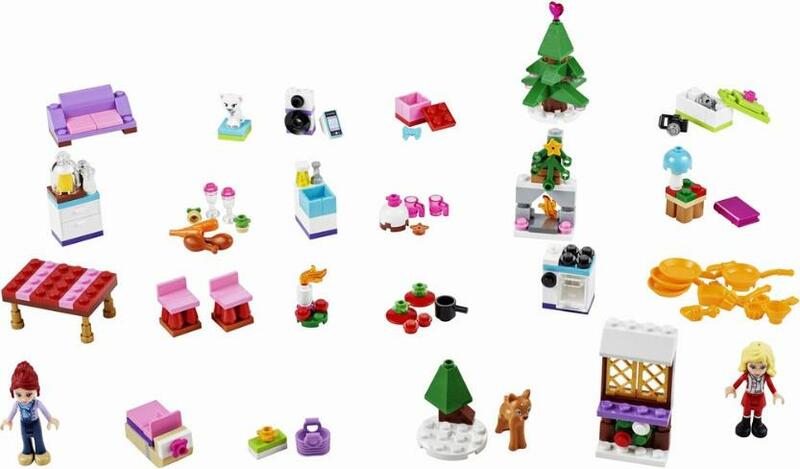 sleigh, deer, fireplace and Christmas tree. 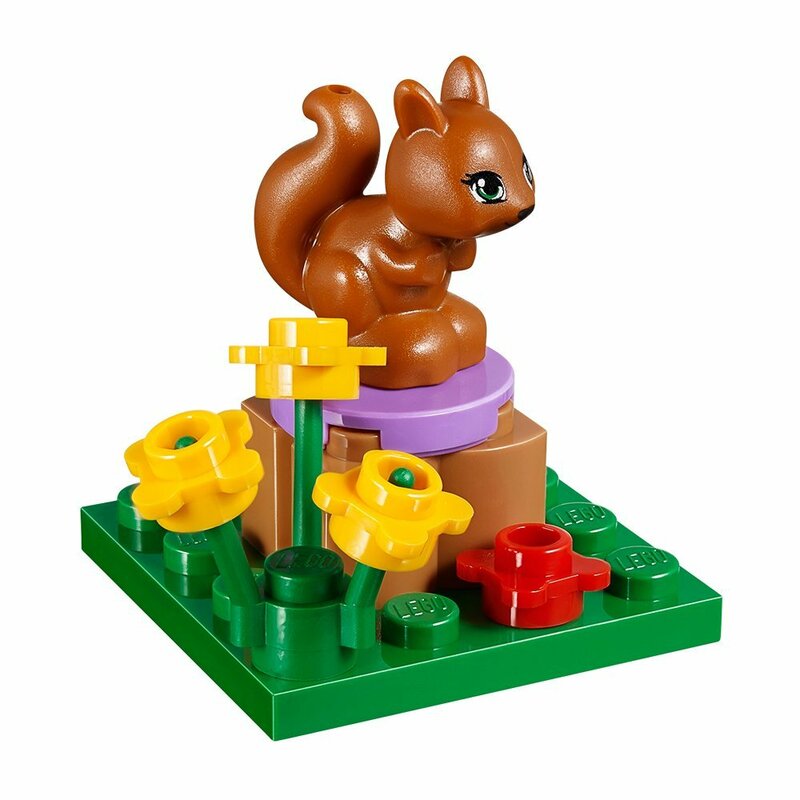 encounter many animals in the forest. 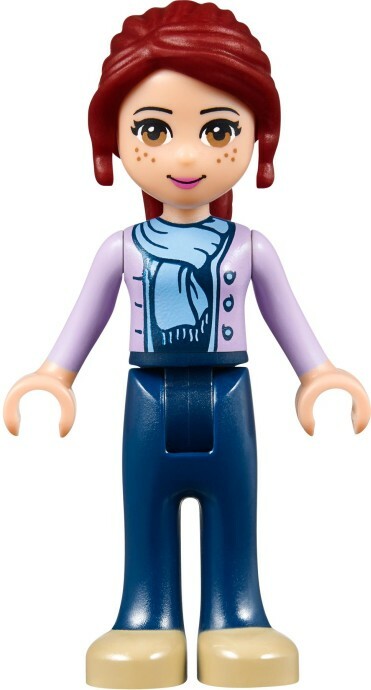 and anticipation when opening the gifts! More Jungle items to go with those sets! 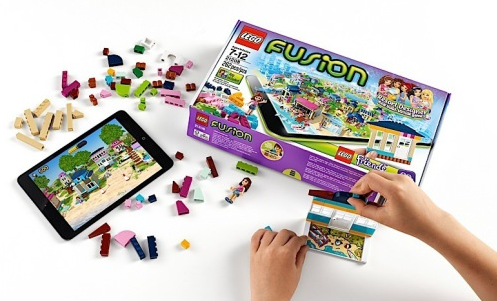 smartphone or tablet! 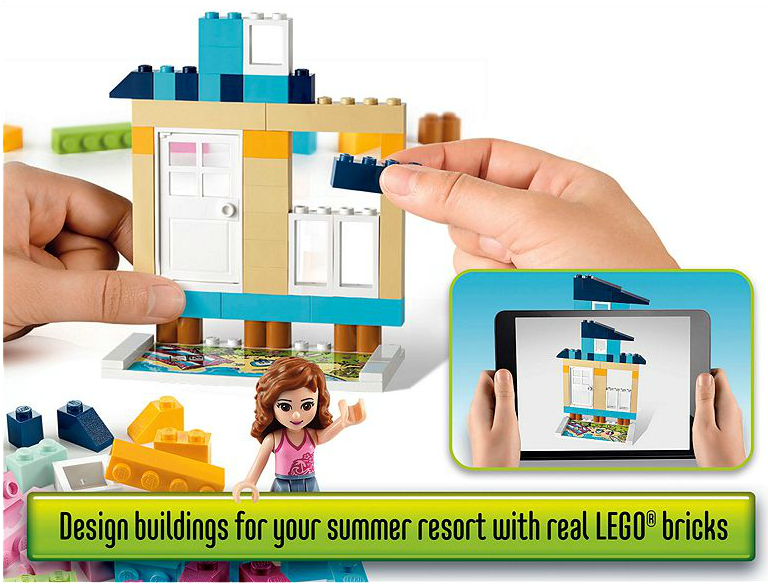 Your game. Your way. 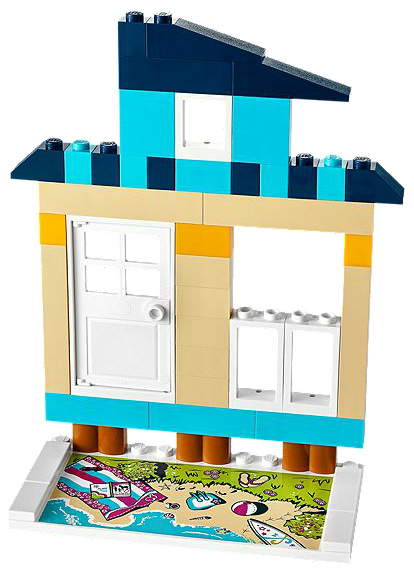 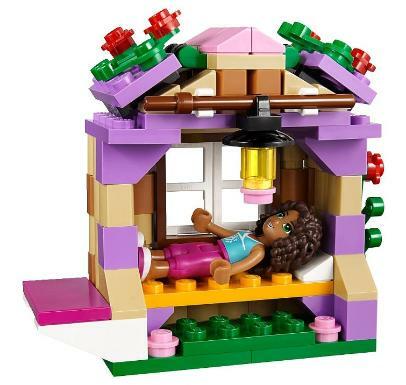 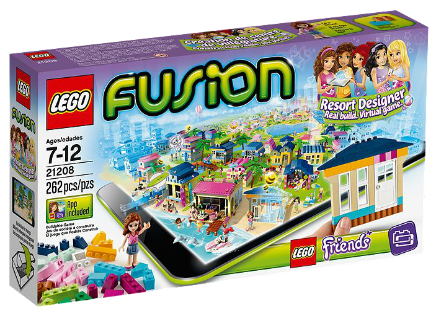 Help the LEGO Friends build a dream summer resort! 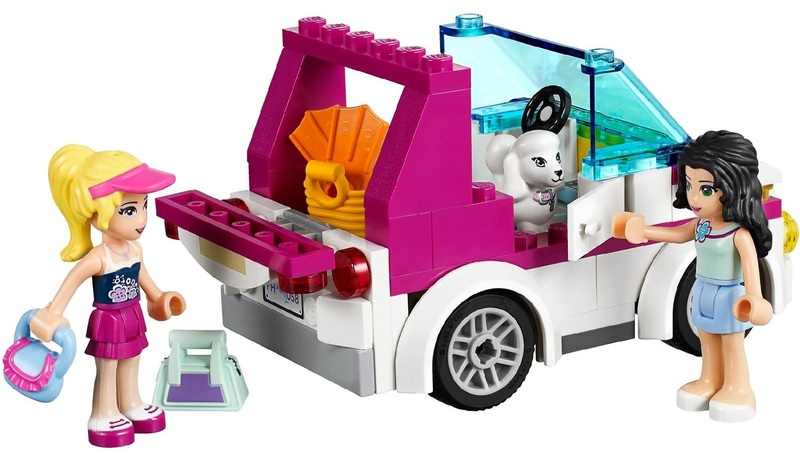 shops, pet shops and more! includes a free trial of the full experience. 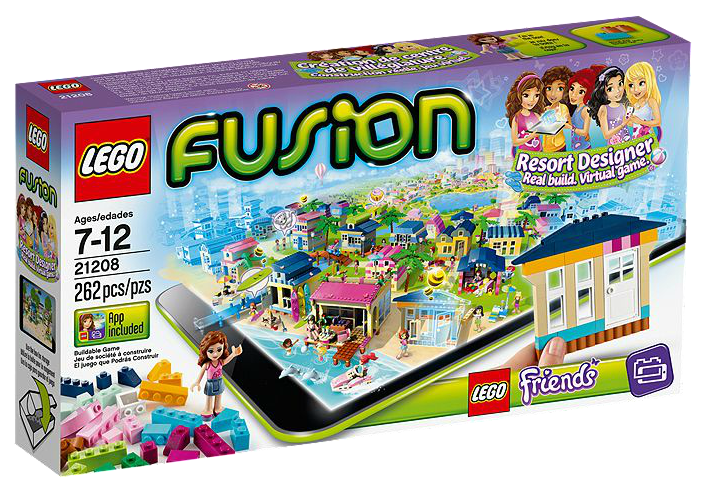 required to play with LEGO FUSION products. 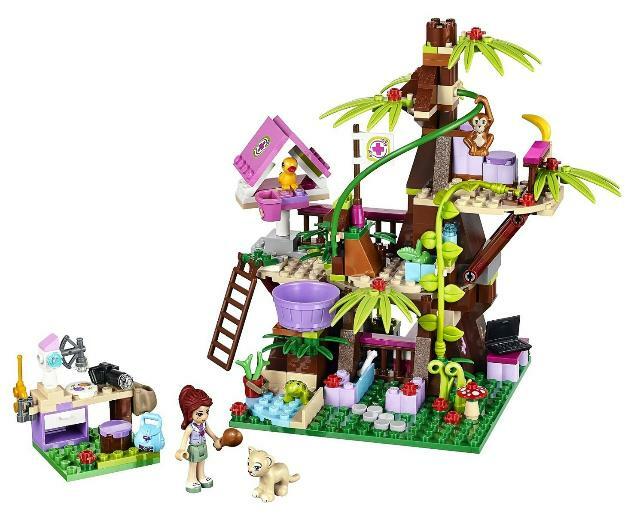 explore the jungle scenery with the dog. 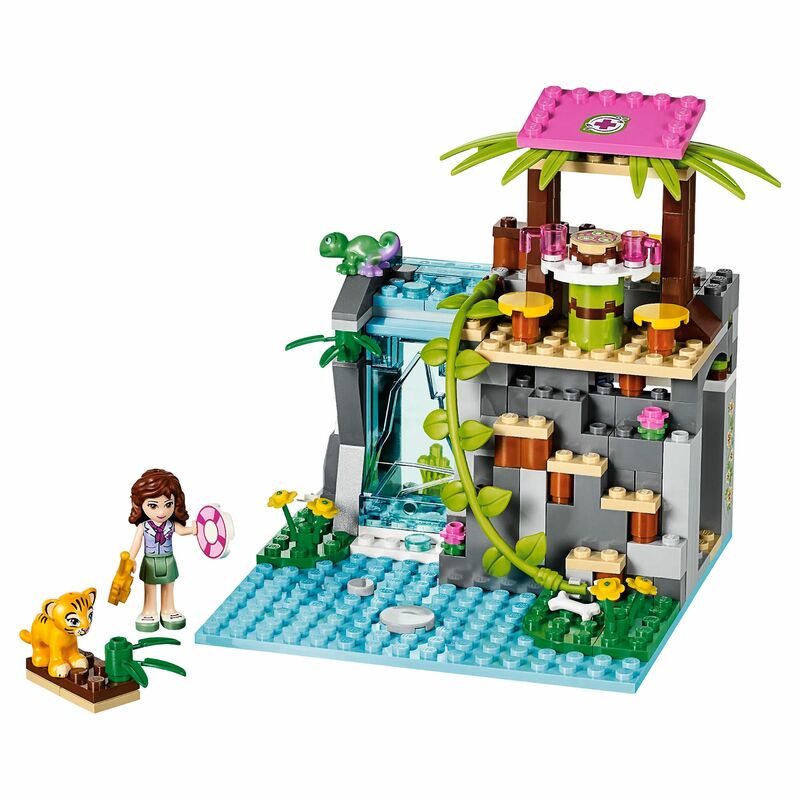 Jungle Playmat for more adventures! Includes a LEGO Friends mini-doll. 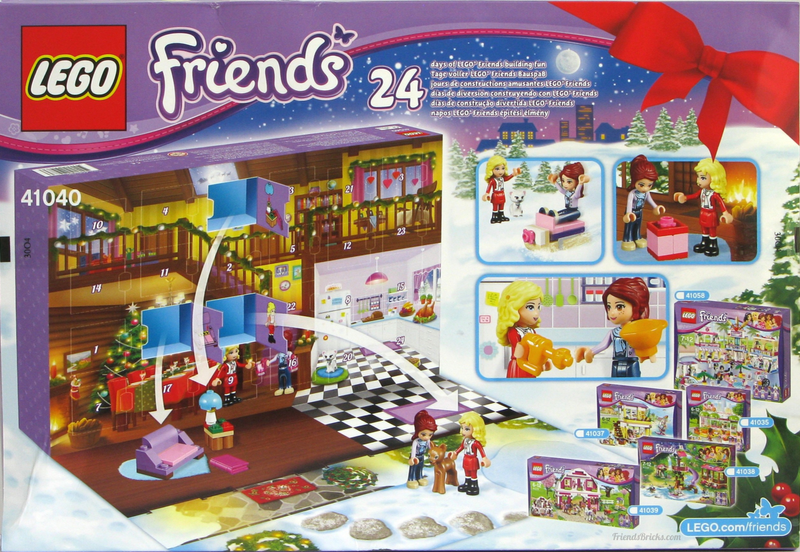 Back of box has a flap that folds down to reveal the holiday setting for this year's advent countdown. 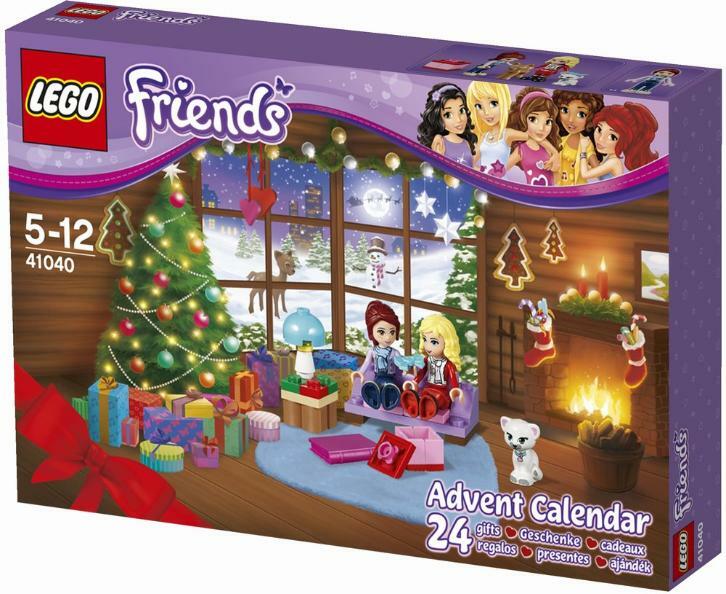 As with any advent calendar, each day contains a special prize. 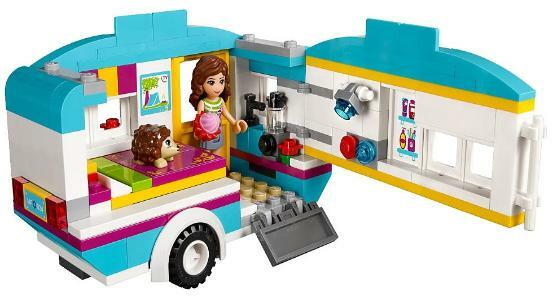 With LEGO Friends it's bricks and pieces to build a small set. 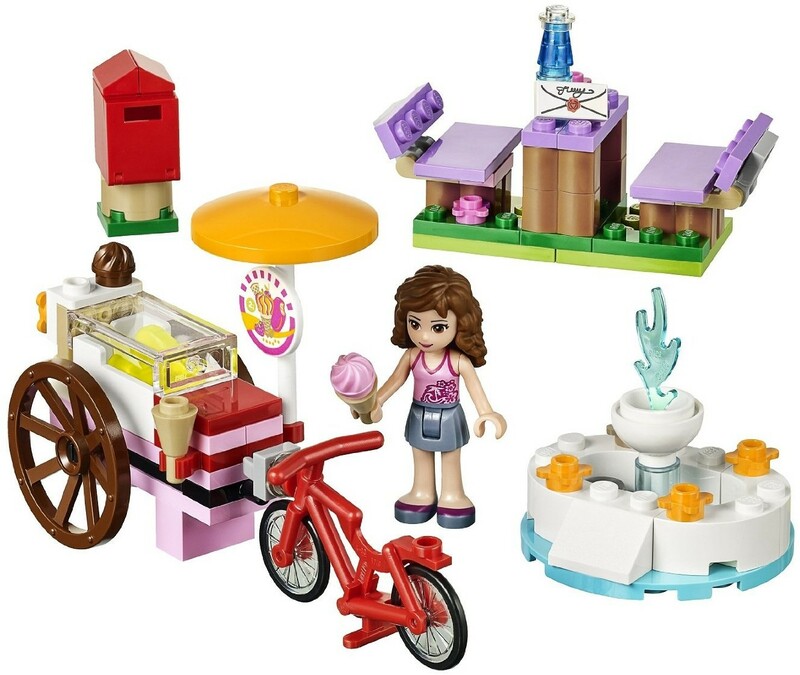 At the end of the advent, all these creations go together to create a fun play scene! to build a dam, before rescuing the frightened animal. can even go and explore the caves together. figure, a tiger cub, chameleon and accessories. 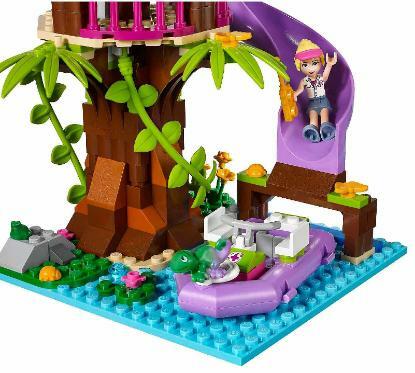 Olivia slides the log mechanism to stop the waterfall. 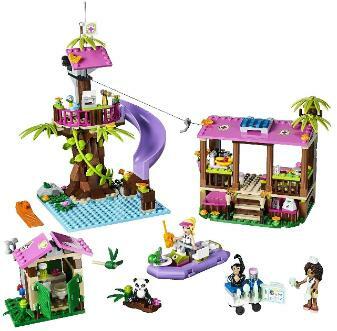 with living quarters, boat, slide, zip line, 2 mini-doll figures and 4 animals. 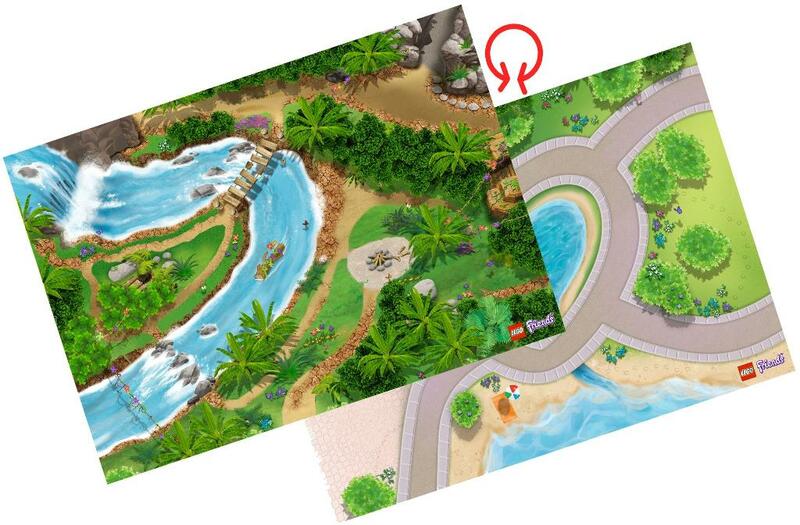 Co-ordinate your animal rescue missions at the Jungle Rescue Base! 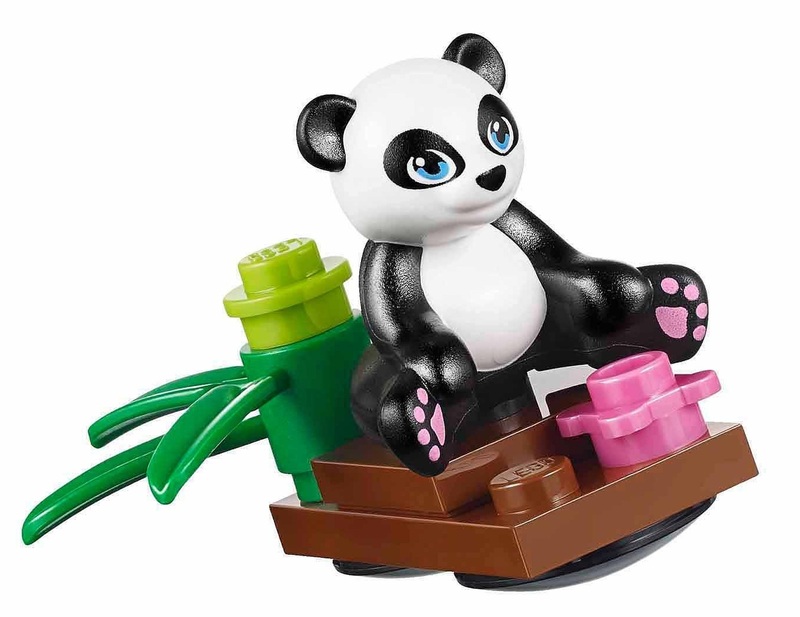 There’s a panda that needs your help! Slide Andrea down to the rescue boat, rescue the panda in distress! 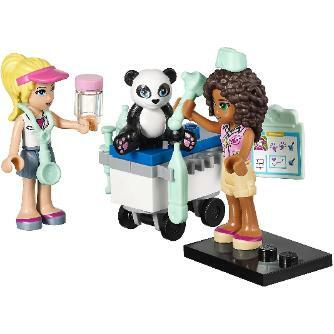 the rescued Panda a check-up! 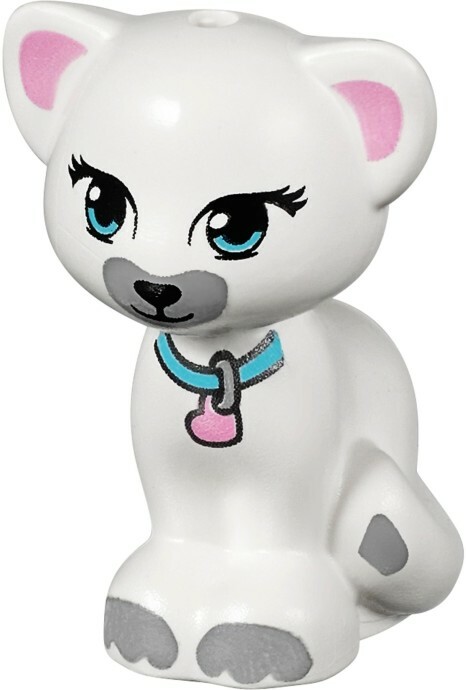 playful animals from the platform before settling down for the night in the cozy bedroom. 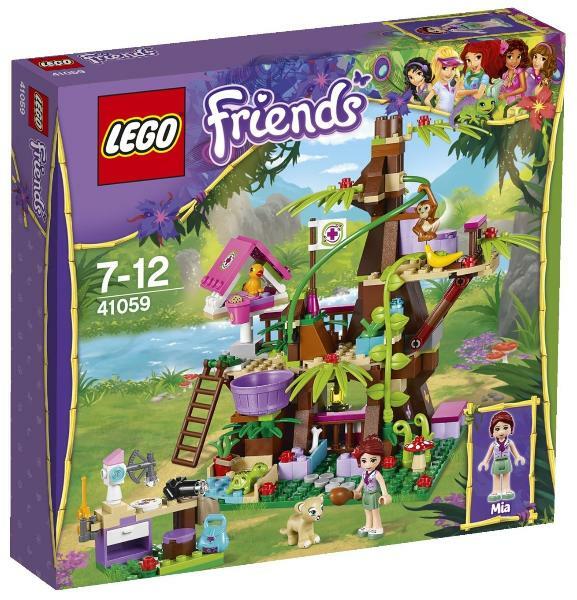 Includes Mia mini-doll figure and 4 animals. 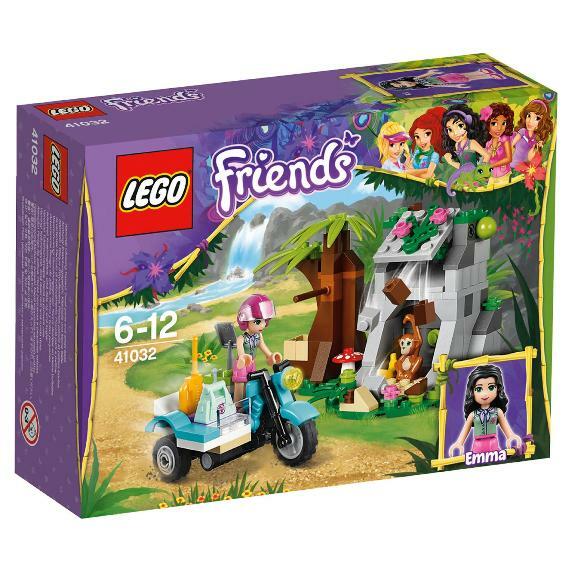 LEGO® Friends First Aid Jungle Bike set! Back in Heartlake City . 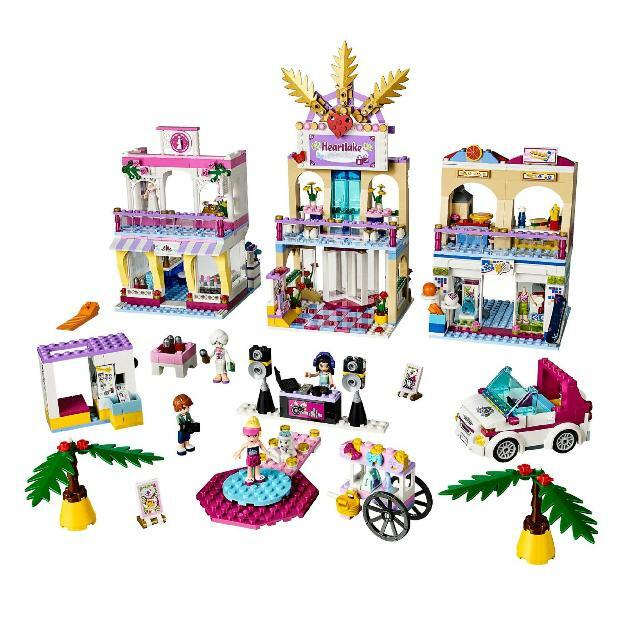 . .
Visit the LEGO® Friends Heartlake City Mall with shops, spa, food court, lobby with revolving door, fashion catwalk and 4 mini-doll figures (Stephanie, Emma, Sophie, and Julian). the bridal boutique. 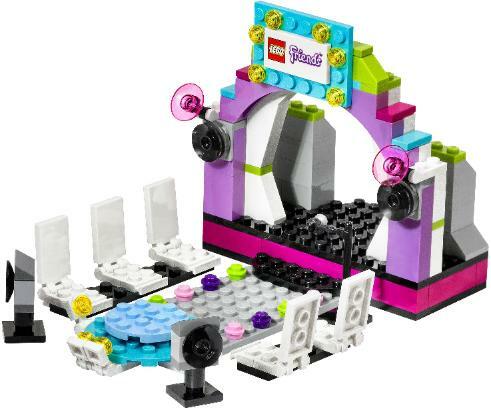 Then head to the food court for a slice of pizza. 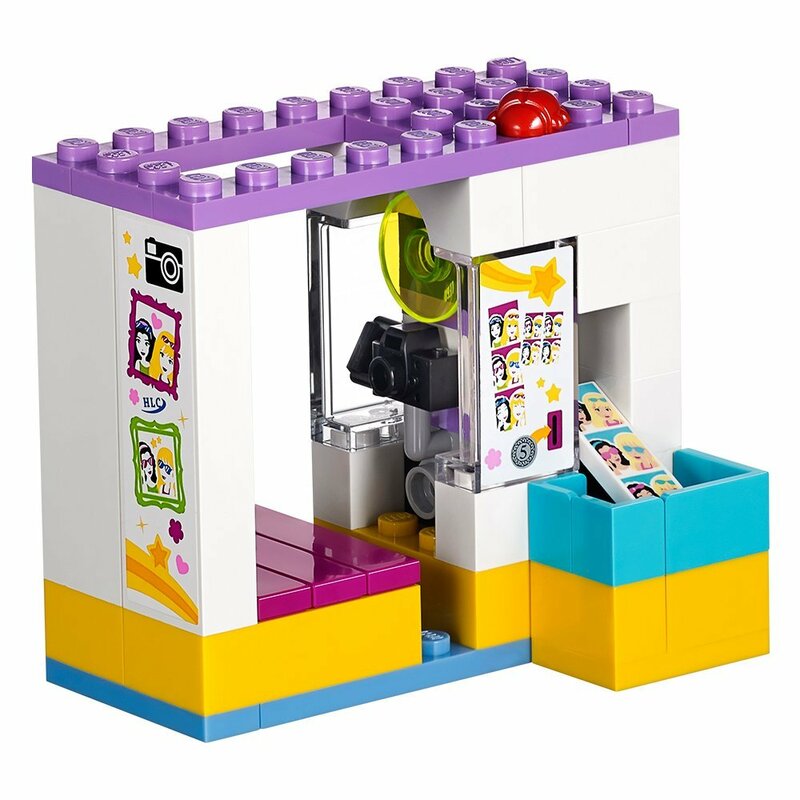 Visit the Photo Booth to capture memories of the day! 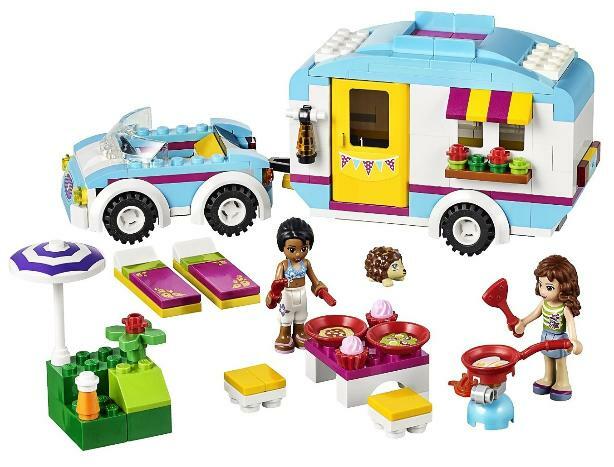 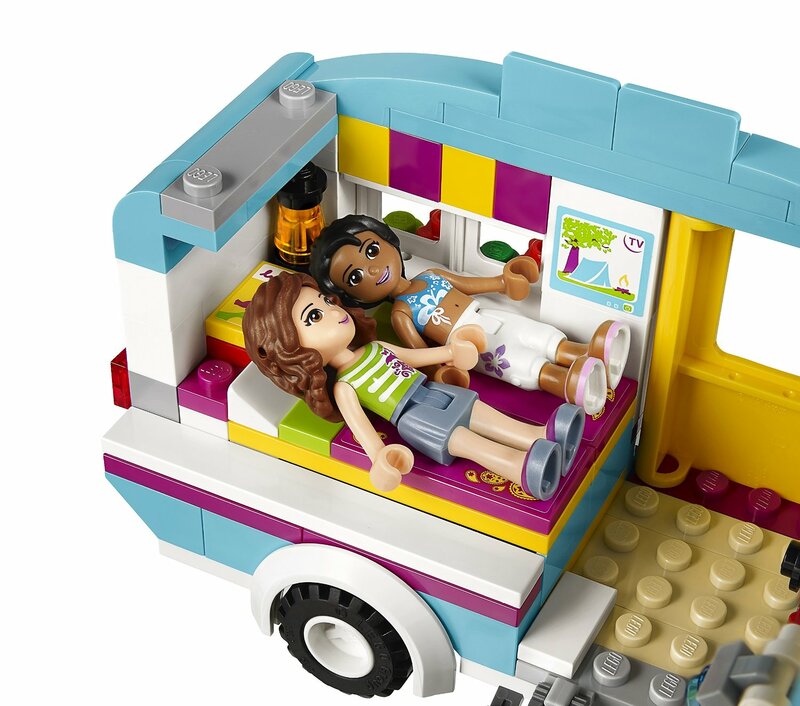 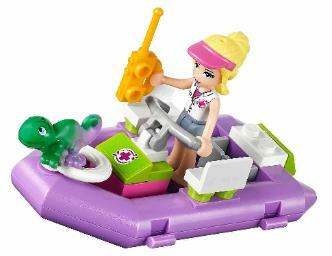 Make the most of the summer sun with the Summer Caravan from LEGO® Friends! 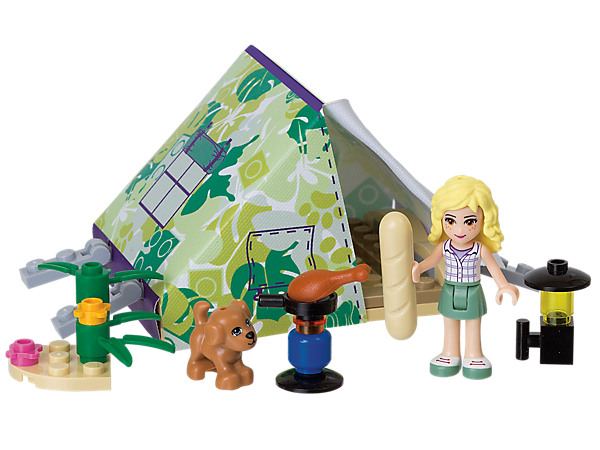 delicious meal using the camping stove. Sit down for lunch at the table and chairs while admiring the stunning views and beautiful scenery. 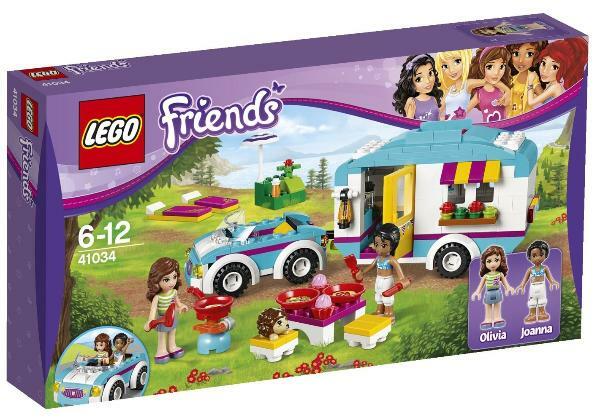 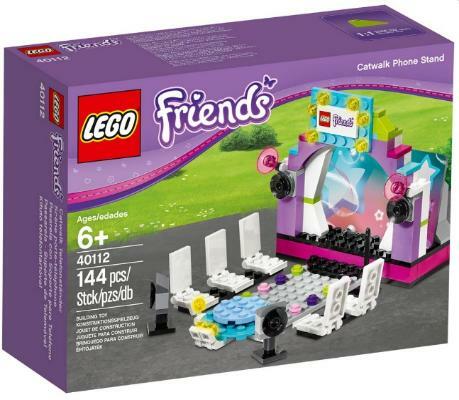 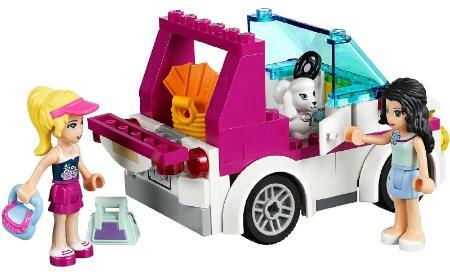 The LEGO® Friends Summer Caravan 41034 set includes a car, caravan, Olivia and Joanna mini-doll figures, a hedgehog and accessories. 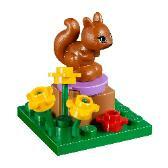 figure, campfire, marshmallow to toast, camera, map and a squirrel. 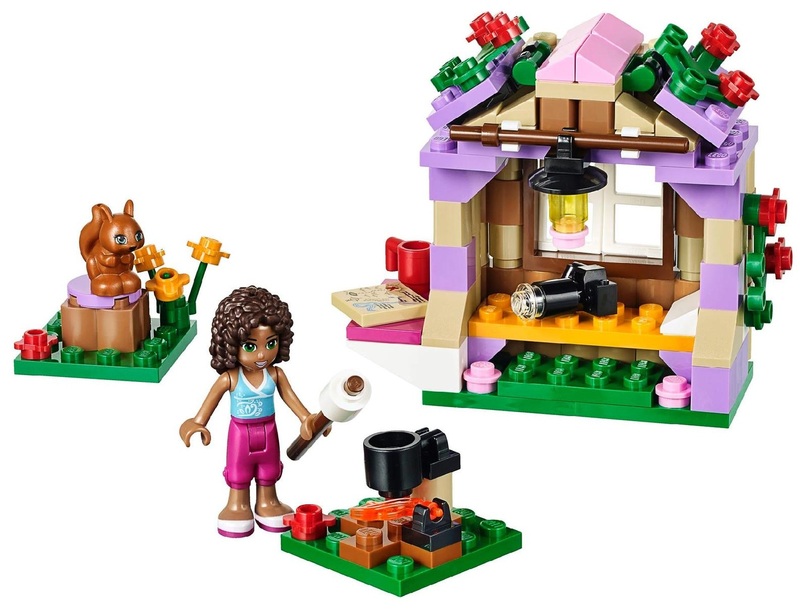 Use the camera to take some nature photos! 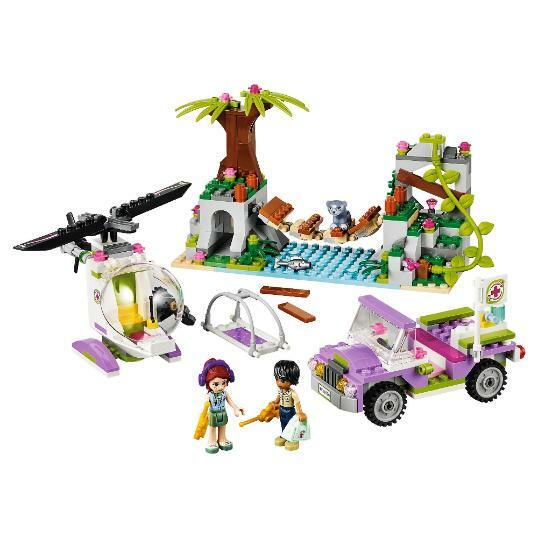 Mia finds a hidden treasure! 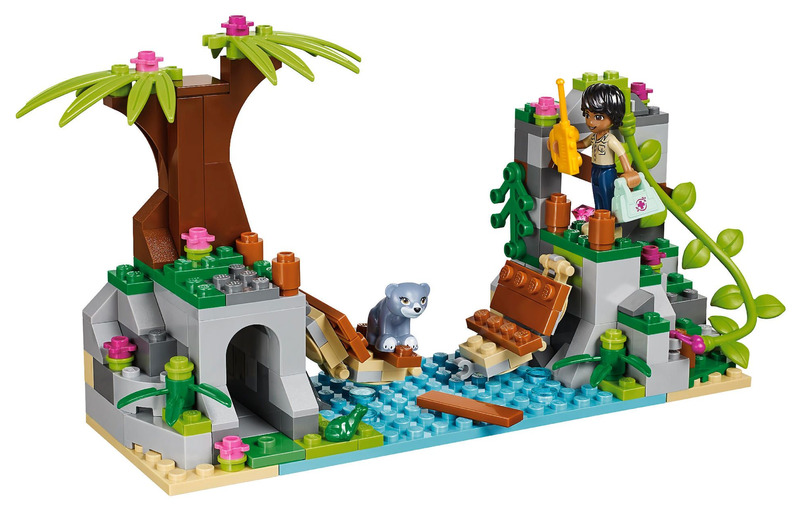 A bear cub is stranded on a dangerous old rope bridge. 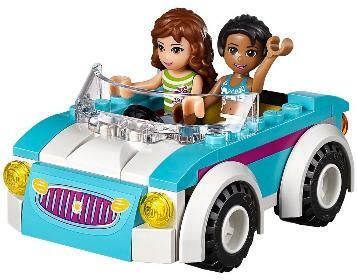 before telling Matthew to meet you there in his off-roader. 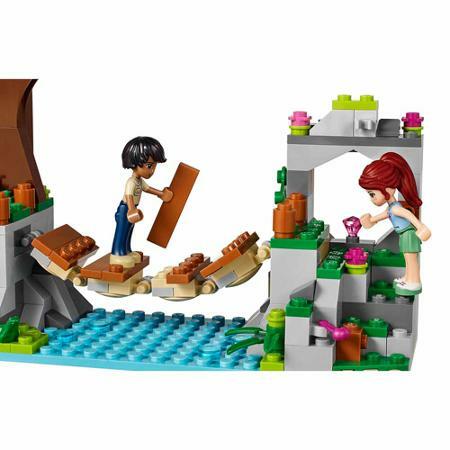 and Matthew can enjoy a fun afternoon discovering treasure in the rocky cliffs. 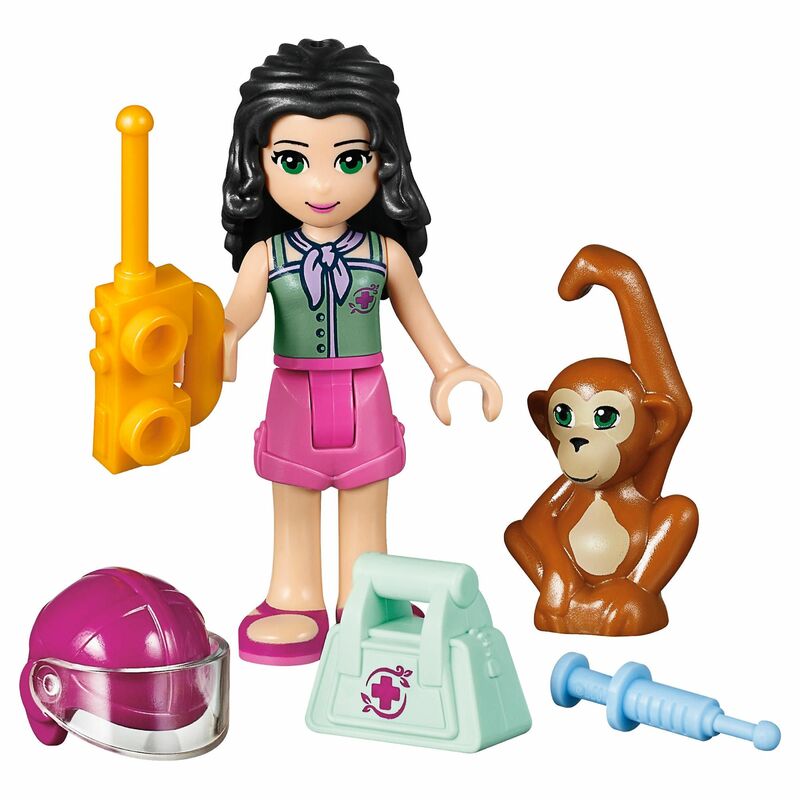 figures, a bear cub and accessories.